Why Toyota and Subaru teamed up to create a rear-drive sports car is a mystery that may never be fully explained. 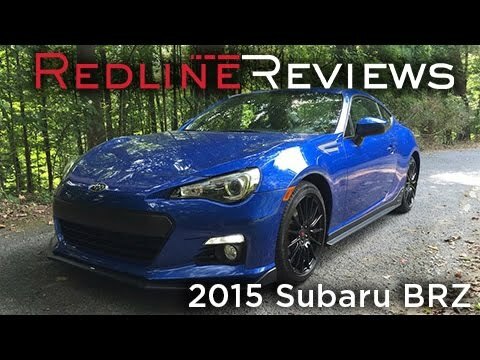 Whatever the reason, we're glad they did because the 2014 Subaru BRZ is a driving enthusiast's dream come true. Quick, agile and neutral in the curves, the BRZ is one of those cars that no one was expecting but everyone wants. I love the color of my car. I really love my car, I am pretty small and I can't imagine someone who is overweight being comfortable in my car. I do wish they would add a sunroof option or moon roof that would be amazing or even some kind of convertible. I also think that the cupholders are an awkward length from the steering wheel. Since my legs are short I have to scoot up closer and the cup holder I almost have to reach back for. It has 3 charging outlets, you can even customize your screen. I love it, it is just not made for the snow and I live in Colorado so it is fun in the summer manly. It is great for someone who does not have kids and has another car for bigger things. It is a city car. But it is fun, it is semi fast and pretty. It is definitely a car you can work on to make it faster. Very fun but lacks the power of other sports cars. Great little sports car! Currently have around 73k miles on it and it still runs great. Minor electrical problems have occurred (driver seat warmer stopped working) but nothing major. Very fun and reliable car. Bought a 2014 Subaru BRZ! !